Councilwoman Cindy Bass opposes the location of SEPTA's natural gas plant. "Race is the biggest indicator in the U.S. of whether you live near toxic waste." That's what a Quartz author concluded after reviewing a 2016 study published in the scientific journal Environmental Research Letters. The study found "a consistent pattern over a 30-year period of placing hazardous waste facilities in neighborhoods where poor people and people of color live." In Philadelphia, we are facing this fact firsthand in the Nicetown, Germantown and lower East Falls neighborhoods with the impending SEPTA natural gas plant. SEPTA's defense of the location is that the plant, which will power Regional Rail operations, must be built near those neighborhoods because that is where all of the power for Regional Rail is fed. But it's time for SEPTA to really examine its history so we do not repeat past mistakes. SEPTA must ask itself: Why was the Regional Rail electric grid placed at the Midvale bus depot, which was built in the 1990s during the scope of the Environmental Research Letters study, in the first place? At the time I said, "We just do not know the long-term environmental impact that this type of natural gas plant can have in a residential neighborhood like Nicetown." That point still stands. That Environmental Research Letters study found that minorities and low-income neighborhoods are targeted by hazardous facilities' developers because those communities typically do not have the resources or political pull to mount opposition. 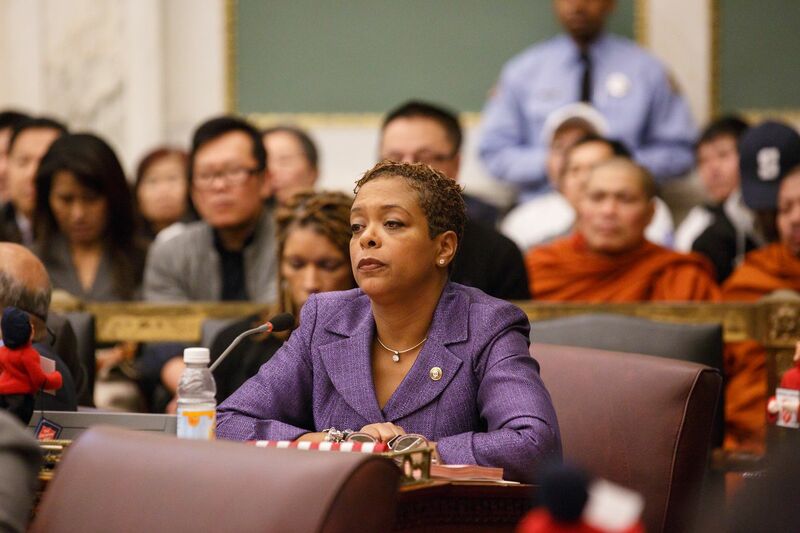 Cindy Bass is the Philadelphia city councilwoman for the Eighth District.